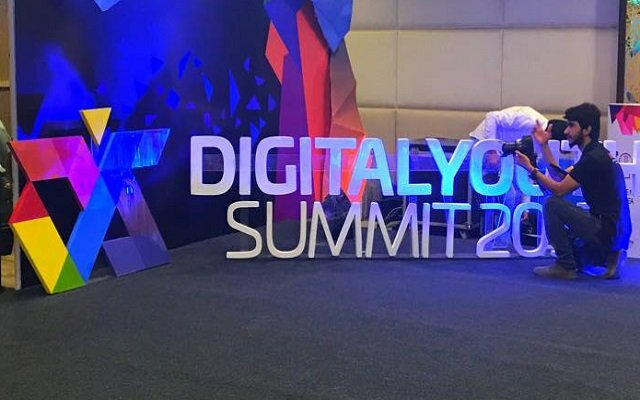 The 2017 Digital Youth Summit (DYS) brought together the next generation of digital innovators to announce a digital strategy and form agreements in order to help map out Pakistan’s digital future and to transform Khyber Pakhtunkhwa (KP) into an emerging technology hub, which is expected to create 75,000 new digital jobs. The summit had top local and international digital entrepreneurs, technologists, companies and investors to share knowledge and experience while training and investing in the 4,000 youth attendees from KP. To build on the summit’s momentum, the 4 pillar KP Digital Strategy was unveiled at the summit to provide a roadmap for KP to equip young people with the skills, access, and markets they need to secure and create jobs in the knowledge economy. It also featured a Startup Cup, in which local startups, including the winner Find my Adventure, pitched their businesses for a chance to win $2,500 in prize money to grow their ventures. “Here in KP, the youth are a huge asset. Taking on the challenge of the future, there is great promise in the role of digital,” said Imran Khan, head of the Pakistan Tehreek-e-Insaf Party (PTI), who spoke to an enthusiastic crowd at the event’s third day. It would be addressing policy and regulatory gaps in ride hailing to promote the sharing economy for job creation and growth. The KP IT Board signed an MOU with telecom company Jazz to work together on promoting digital development initiatives in the province. The KP IT Board also unveiled the KP Cyber Emergency Response Center, to identify and respond to cybercrimes. This year’s summit was larger than ever with over 80 speakers, 4,000 participants, including investors, entrepreneurs, students, and representatives from the government and the private sector. Digital Youth Summit is organized by the KP IT Board and the World Bank Group and is powered by Jazz, supported by USAID, and sponsored by the Tourism Corporation of Khyber Pakhtunkhwa, UNDP, Bank of Khyber, Gloria Jeans Coffee, March Designs, Pakistan Telecommunications Authority, the Multi-Donor Trust Fund for KP, FATA and Balochistan, Codematics, and Animation Republic.